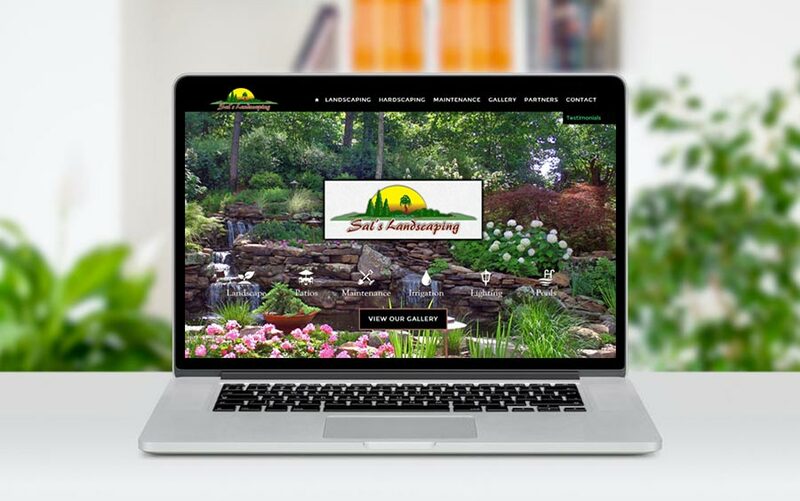 Sal’s Landscaping approached me to redesign their old outdated website with a new website that kicked up the ability for them to display their work, ultimately earning them the opportunity to more business. The previous site had zero search rankings, and they have the goal to achieve high rankings for the local market with the new design based on the WordPress platform. They wanted a clean modern design, and wanted it organized in a way that covered all their devices in an efficient manner. They want to begin social media integration into Facebook and twitter, and want to showcase recent projects that have completed. This site is very image heavy as they have numerous projects in their portfolio, however it is organized in a way that does not burden the visitor, yet offers the visitors what they want, the ability to look at examples, get ideas, and ultimately book an appointment. Due to reworking the layout plan and all the image management, this project took over two weeks to complete from start to finish. I know they look forward to great results in the season to come and beyond. I so sorry we didn’t do this a LONG time ago! Oh My Word! Now that our site is done, and I so sorry we didn’t do this a LONG time ago! Our search rankings are fantastic and we are getting tons of leads. Yellow Page ads cost us a fortune and we had to pay it monthly. We get better results with this website, and there is no large monthly cost. I can not thank you enough!